SuperBetter builds resilience - the ability to stay strong, motivated and optimistic even in the face of change and difficult challenges. Playing SuperBetter unlocks heroic potential to overcome tough situations and achieve goals that matter most. 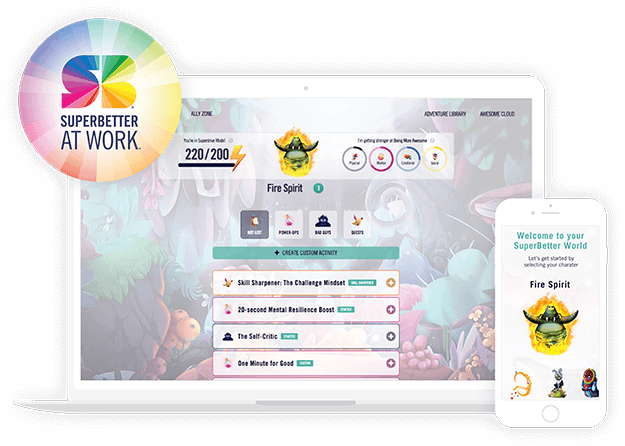 Created by award-winning game designer Jane McGonigal, SuperBetter is powered by the Live Gamefully® method; a framework that activates the same mindset and psychological strengths of game play to build resilience and be stronger for life. Proven resilience training results in just minutes a day. Get Inspired! 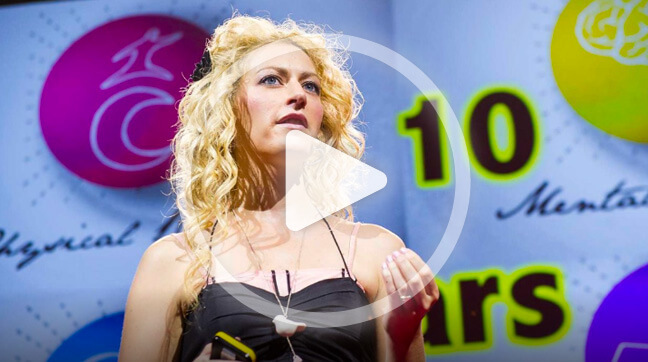 In this popular TED Talk Jane shares her personal story that led to creating SuperBetter. Our resilience training method engages employees to be more agile, adaptable and productive, and better manage stress and avoid burnout. SuperBetter At Work is available only through employers. Have your HR team request a demo. 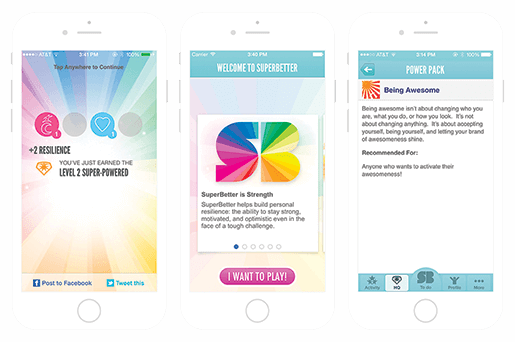 Join nearly a million people so far who have played SuperBetter to achieve goals and tackle challenges including anxiety, depression, chronic pain, concussion recovery and more. We make the Original SuperBetter website and apps available for free to anyone around the world. Our SuperBetter At Work alliance trains employees to be more resilient. Future alliances will focus on resilience-building, mental health and recovery for patients, youth and communities.